What is your relationship with your phone? How happy are you to stay away from it? We live in extraordinary times. We carry amazing devices in our pockets that conduct transactions, spread information, teach new skills and even help find love at the click of a button. It’s clear that technology has grown rapidly giving us no time to ponder over how it influences our brains or ability to think. There is, however, a growing body of evidence that technology can be both beneficial and harmful to us. Why else are people suffering from new-age diseases such as cyberchondria, tendinitis, or fear of missing out (FOMO)? Technology is not meant to be a panacea for all ills, nor can it be blamed for it all. If we have allowed it to hijack our lives then it is time we did something to set the balance right. Thrive Global India’s mission is to end the global epidemic of stress and burnout and focus on well-being. We can’t talk about well-being today without talking about our relationship with technology. We’re delighted that Vodafone is our partner in this mission to ensure that technology is used responsibly. Together, Thrive Global India and Vodafone will be spearheading this special section that will include personal stories, the latest science and global trends in our relationship with technology. We will talk about what individuals and workplaces are doing to develop a more functional relationship with technology and how you can learn and contribute to this movement. 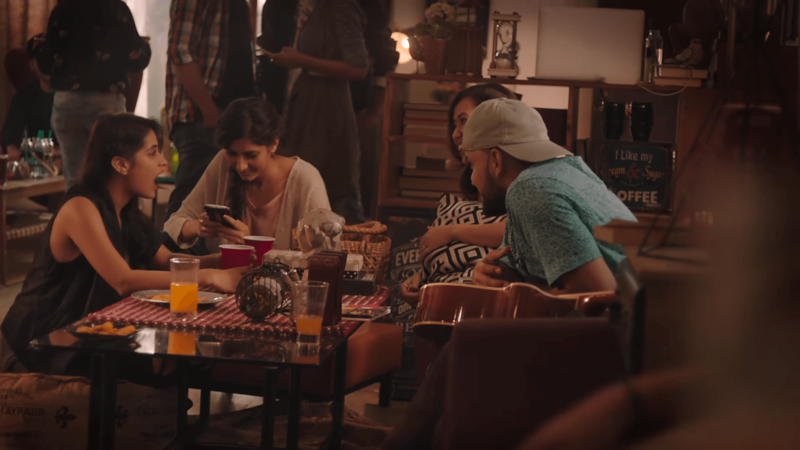 Vodafone’s #LookUp campaign asks people to keep their phones aside and look up during special occasions. The campaign sends a much larger message of how it is important to focus on the human aspect of life and making technology an enabler rather than a hijacker. We want you to be part of this conversation. We want to know how you are living a life of greater well-being. What is your relationship with technology? Do you begin and end your days by checking your phone? What kind of steps have you taken to ensure that you #LookUp? Do share your mantra @thrivein, and don’t forget to use #LookUp!